GIS or geographic information systems is a collection of various science and technology tools that are used to manage geographic relationships across space and integrate numerous types of information to learn about an area, manage a project, choose an ideal site for something and/or choose a delivery route among many other things. It allows users to analyze spatially referenced data and make decisions about topics from a wide variety of fields including business, economics and government applications (Department of Health and Human Services). Public health is growing field that is turning to GIS for research applications. For reference, public health is defined as a subject that studies the health of populations instead of individuals, is focused on prevention over treatment and typically operates within the government instead of private healthcare companies (Wikipedia.org). Researchers and administrators in this field use GIS for a number of different research, planning and disease management projects. This article will examine the use of GIS as in public health by providing a short history of its development as a tool in the field, explaining how GIS is used and how the privacy of sensitive health information is maintained. Examples of current research using GIS within the public health field are also included for reference. Medical or health geography is an area of medical research that uses geographic techniques such as the use of mapping and GIS to study the impact of a person’s surroundings on their health. Scientists have used mapping to study public health since ancient times. For example in the 5th-4th centuries Hippocrates conducted a study of how one’s location impacts health (Briney). In addition some early studies looked at the prevalence of diseases in people living at high versus low elevations and it was found that people living at low elevations near waterways were more likely to experience malaria. One of the earliest studies using maps was conducted by Dr. John Snow, a physician in London, when he used hand-drawn maps to show the locations of cholera deaths in the 1850s. He superimposed his maps showing death locations with maps of public water supplies and was able to find an area where the deaths clustered near a water pump on the city’s Broad Street. The handle for the water pump was later removed and cholera deaths in the area decreased significantly. Dr. Snow’s research eventually became part of a field known as disease diffusion mapping (Wikipedia.org). This is an area of study that claims that a disease starts from a central source and spreads according to patterns and conditions of the environment. 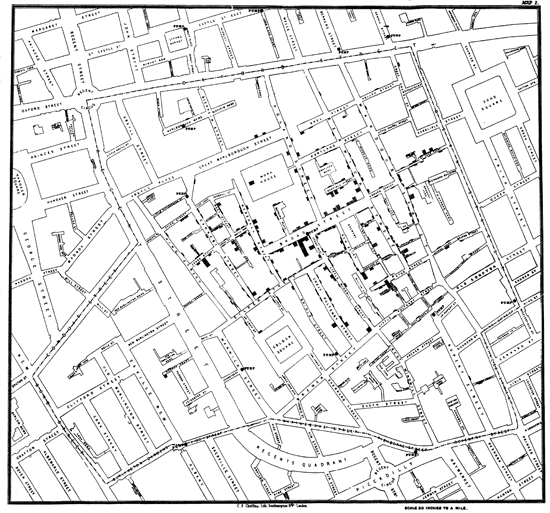 John Snow’s 1854 Cholera Map. Today modern GIS is used heavily to conduct disease diffusion studies and analyze other problems and topics within the field of public health. Public health informatics for example is a specialty that focuses on the use of information science and technology to conduct research and GIS is a common tool used in that field because its maps can show relationships between diseases and locations and disease clusters (Wikipedia.org). In addition to using GIS to map disease, public health agencies have recently begun using GIS to identify disparities and inequalities in income and the availability of quality healthcare in an effort to determine where new development should be focused. This, combined with the use of GIS to map the spread of disease and other health-related issues makes GIS an important component in public health research. Today GIS is used in public health in a number of different ways. Before using it to conduct projects however, it is important to learn the foundations for using GIS in public health. In its most basic use, GIS answers the question of “Where?” (Cromley and McLafferty). This can mean questions such as “Where are people living?” “Where are diseases starting?” and “Where are sources of air pollution?” for example. 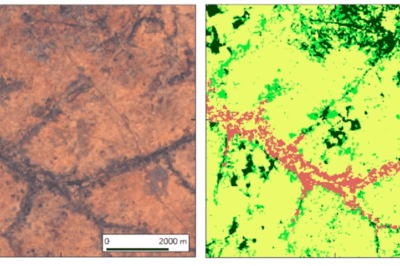 Researchers can easily use GIS to answer “Where?” questions and in many cases it can provide answers to other questions related to public health because maps created via GIS can help to show patterns between things such as disease starting points, risk factors and sources of pollution. Incidence and prevalence are two more important foundations for using GIS in public health applications. Incidence examines the number of new cases of a disease or health issue over a specific time period (Cromley and McLafferty). Prevalence is the incidence of existing cases of a disease over a specific period of time (Cromley and McLafferty). These are important to GIS applications because a disease that has a fast death rate will have a higher incidence than prevalence in a community and GIS can allow researchers and health officials to see the distribution of deadly diseases and possibly find a source. 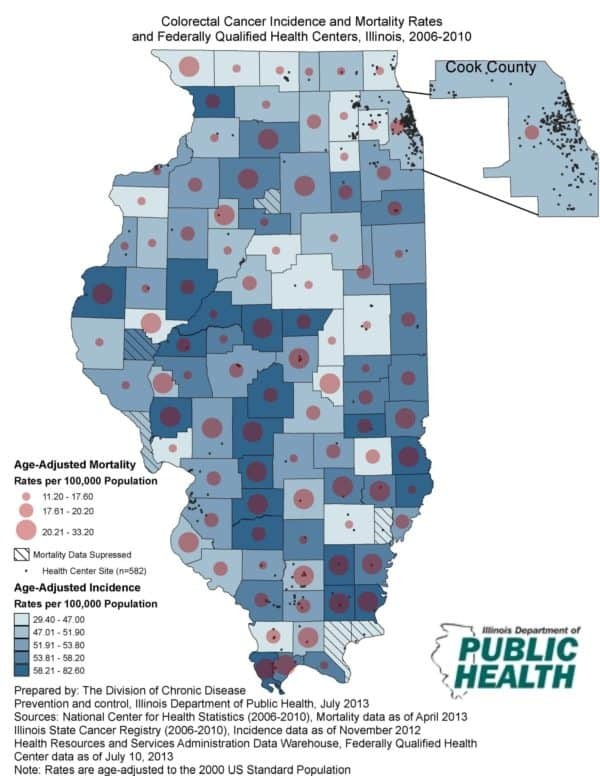 Map of age-adjusted colorectal cancer incidence and mortality rates per 100,000 population for Illinois residents by county and the locations of Federally Qualified Health Centers (FQHC). The map is used to identify areas with increased colorectal cancer incidence and mortality rates, educate the public and stakeholders on the burden of colorectal cancer in Illinois, and assist with future collaborative efforts toward reducing the burden of colorectal cancer among Illinois residents. Source: Illinois Department of Public Health, 2013. Once these foundations are examined by researchers Esri offers four steps to follow for GIS and public health projects. The first is assessment. This step involves analyzing the type of data available to determine if it will answer the necessary questions, maintain privacy and meet legal codes. Policy development is another important step because “GIS visualizes health data over time to assist with making policy decisions, setting goals, and evaluating outcomes by linking health data with socio-demographic, environmental, administrative, and healthcare and services infrastructure“(ESRI). Policy development helps to maintain privacy and understand community issues. Operational awareness and assurance are two more important steps offered by ESRI. Operational awareness is important because GIS allows health officials to make rapid decisions during emergencies but it is important for them to thoroughly examine GIS results and sometimes analyze multiple datasets to allocate resources and respond to needs to regard to the current situation as well as future problems (ESRI). Assurance involves the monitoring of health status to understand and assess factors that contribute to health and diseases to communicate and share information with the public (Esri). Because GIS has so many different uses in public health there is also a wide variety of data types available for research. The United States’ Centers for Disease Control and Prevention lists several different GIS data sources on their website. This data consists of information from the U.S. Census Bureau, the World Health Organization and the Pan American Health Organization among others. This data includes topics such as AIDS, air quality, diabetes prevalence, cancer studies and statistics and infant mortality rates. This is all data that is currently available and can be used for research purposes and background studies. New GIS data can also be created in times of emergency. Although there is a plethora of GIS data available for public health applications much of it deals with sensitive information and as such privacy and confidentiality of individuals is a large concern among researchers. As a result precautions must be taken when creating maps so that individuals are not identified based on the spatial data. Informed consent, the use of smaller map scales, geographic attribute masking and address offsets are all ways to increase confidentiality (Rushton). Since GIS and public health is such a large and growing field there are many different past and ongoing research projects that fall within this topic. The United States Centers for Disease Control and Prevention has many different research applications within the field as do smaller local government agencies. Los Angeles County has an Office of Health Assessment and Epidemiology that provides a variety of different reports from city and community health to childhood obesity and life expectancy that all use GIS. Universities are also conducting public health research. Harvard University’s School of Public Health for example has different research programs that focus on using GIS as one of their main tools for studies in topics like air pollution and physical activity. To learn more about the specifics of GIS and public health, read the book GIS and Public Health by Ellen Cromley and Sara McLafferty. Briney, Amanda. (n.d.). “Medical Geography – A History and Overview of Medical Geography.” Geography at About.com. Retrieved from: http://geography.about.com/od/culturalgeography/a/medicalgeograph.htm (27 March 2014). Cromley, Ellen K. and Sara L. McLafferty. (2012). 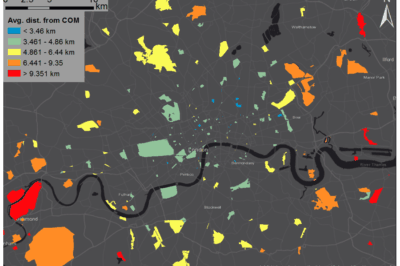 GIS and Public Health. The Guilford Press: New York, New York. 2nd edition. Department of Health and Human Services. (14 November 2006). “Geographic Information Systems (GIS) at CDC.” United States Centers for Disease Control and Prevention. Retrieved from: http://www.cdc.gov/gis/ (27 March 2014). ESRI. (n.d.). “Disease Surveillance Tracking – Environmental Health Mapping & Vector Control.” ESRI Public Health. 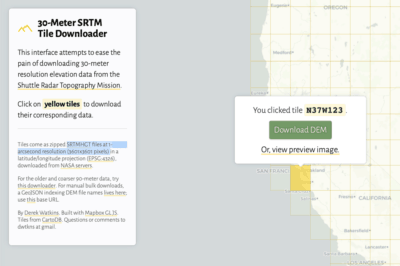 Retrieved from: http://www.esri.com/industries/health/public-health (27 March 2014). Harvard School of Public Health. (2 January 2013). “Geographic Information Systems (GIS) in Public Health Research.” Harvard University. Retrieved from: http://www.hsph.harvard.edu/gis/ (27 March 2014). Office of Health Assessment and Epidemiology. (n.d.). “Top Reports from the Epidemiology Unit.” Department of Public Health County of Los Angeles. Retrieved from: https://publichealth.lacounty.gov/epi/reports.htm (27 March 2014). Rushton, Gerard. (10 October 2007). “Privacy and Confidentiality in Health GIS.” ESRI Health GIS Conference. Retrieved from: http://www.vdh.virginia.gov/OFHS/policy/documents/2012/irb/pdf/GIS_Confidentiality.pdf (27 March 2014). Wikipedia.org. (23 October 2013). GIS and Public Health – Wikipedia, the Free Encyclopedia. Retrieved from: http://en.wikipedia.org/wiki/GIS_and_public_health (27 March 2014).